Artwork has a way of “taking You away” I hope this painting brings You True feelings and Clear thoughts……. Please Note: This is so pretty in person, an escape landscape. 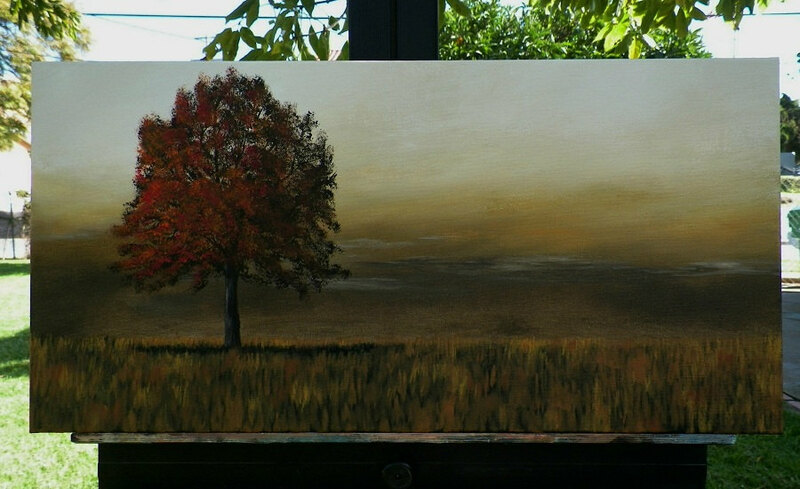 Deep colors Golden Ochres, Warm browns and a highlighted Beautiful Red Tree. “A Walk in the Storm” Beautiful hand mixed Professional Artist Acrylics. Media: Professional Artist Acrylics on stretched canvas, Sides painted black so you may hand un-framed or framed. Ready to Ship. 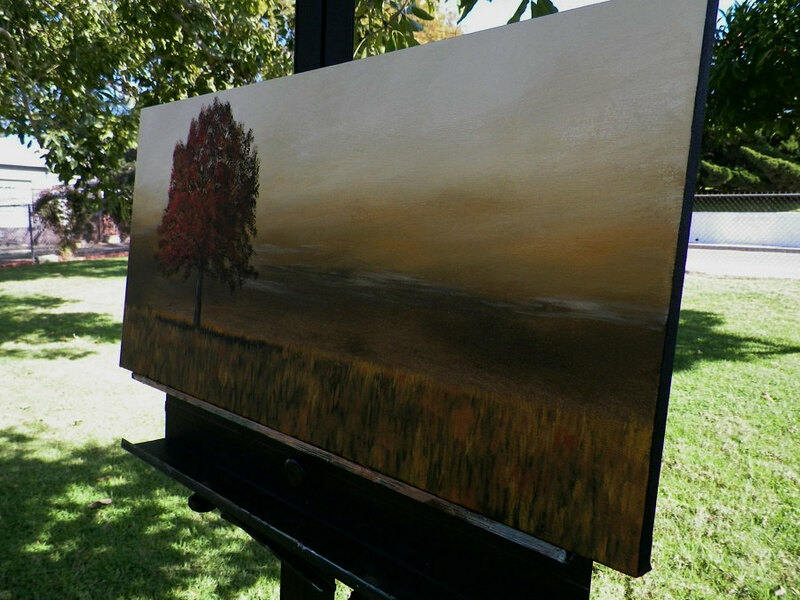 The canvas wraps around to the back with no visible staples, varnished for protection. …….Add a little touch of Original Art to Your Life. 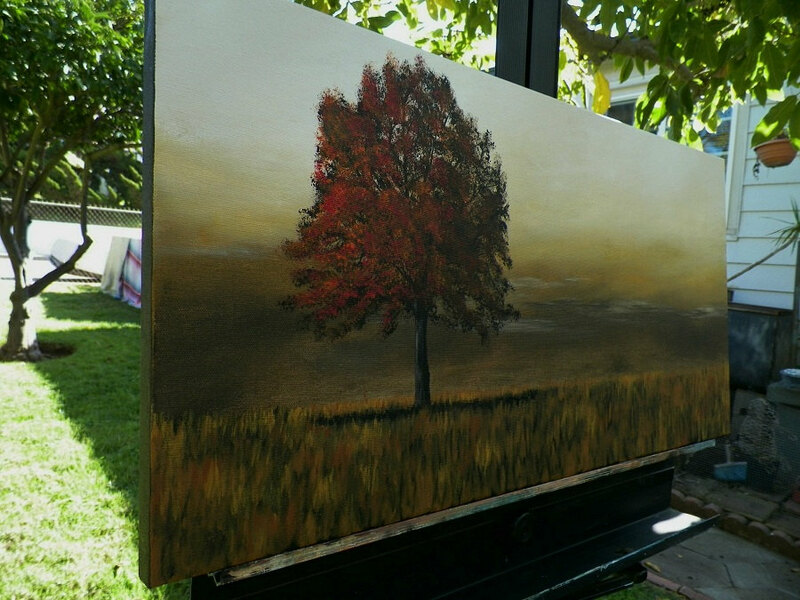 Affordable art for the Love of painting. What Debra does…….ahhh ooooh what do we have here cute or do I need to tackle her! Sweet photograph of Kyle Richards “The Real Housewives of Beverly Hills” with my husband…….hmmm just so fun! hence the title of this post! ahhh ooooh what do we have here cute or do I need to tackle her! She was SUPER sweet & her husband too. He talked with Peter and gave him his business card, as he is building a house that will be For Sale soon. She was at a book store we had dinner, then walked into the book store she was done signing her book, the clerk asked if we would like to meet her, peter said sure so you have to purchase a book, we were the only ones left with her no line it was so funny. she took photos with us. shook peters hand and talked a bit. just so funny and sweet. For those of you that don’t recognize her, Its Kyle Richards from “The Real Housewives of Beverly Hills” Sister to Kathy Hilton, Aunt to Paris Hilton is also “kinda” what she is known for. Some people seem to be so flawless. I’m telling you, you can’t believe how pretty and happy she was, it really was adorable, I love seeing happiness from anyone! I have met allot of Celebrities over the Years when I was a Member of the ACM (Academy of Country Music), and met allot of truly nice people out of the Spotlight, at Parties and Charity Events, these guys were so sweet and fun loving people. Just so nice to see…….Now there is a Book I need to go Read!